Ichinoseki (, Ichinoseki-shi) is a city located in Iwate Prefecture, Japan. As of February 2014, the city had an estimated population of 123,252 and a population density of 98.1 persons per km², with the total area of 1,256.25 km². It is currently the second largest city by population in the prefecture, after Morioka. The City of Ichinoseki is located in the far south region of Iwate Prefecture, bordered by Miyagi Prefecture to the south. The area of present-day Ichinoseki was part of ancient Mutsu Province, and has been settled since at least the Japanese Paleolithic period. The area was inhabited by the Emishi people, and came under the control of the Yamato dynasty during the early Heian period. During the Heian period, it was controlled by the Abe clan, followed by the Northern Fujiwara clan of Hiraizumi. During the Sengoku period, the area was dominated by various samurai clans before coming under the control of the Date clan during the Edo period, who ruled Sendai Domain under the Tokugawa shogunate. The town of Ichinoseki was established within Nishiiwai District, Iwate on April 1, 1889 with the establishment of the municipality system. April 1, 1948 - The city of Ichinoseki (1st generation) was founded by the merger of the towns of Ichinoseki and Yamame with the villages of Mataki and Nakasato. September 1, 1956 - Due to a boundary adjustment, the city absorbed parts of the town of Hiraizumi. 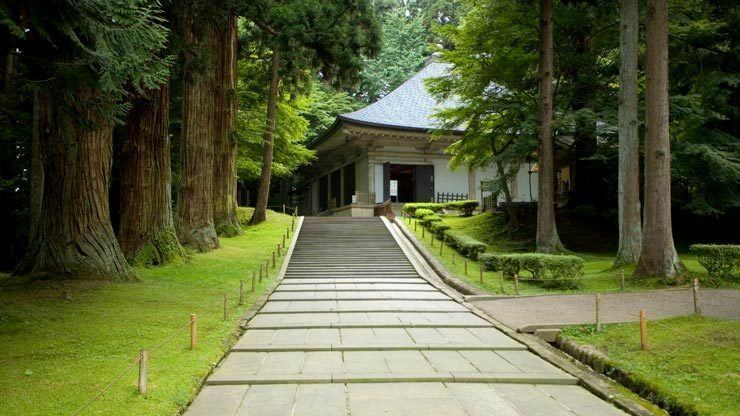 May 1, 1964 - Due to a boundary adjustment, the city absorbed more of the town of Hiraizumi. September 20, 2005 - the towns of Daito, Higashiyama and Senmaya, the villages of Kawasaki and Murone (all from Higashiiwai District), and the town of Hanaizumi (from Nishiiwai District) were merged with the city of Ichinoseki (2nd generation) to create the new and expanded city (3rd generation). This creation approximately doubled the old citys population and nearly tripled its size. September 26, 2011 - the town of Fujisawa (also from Higashiiwai District) was merged into Ichinoseki. Higashiiwai District was dissolved as a result of this merger. Ichinoseki is in close proximity to the historically significant site of Hiraizumi, which lies adjacent to the mid-northern border of the city. Ichinoseki station is a convenient transit hub for excursions to Hiraizumi, with access to Tohoku Shinkansen and local rail lines. Tsuriyama Park lies near the center of the original city of Ichinoseki. Atop Tsuriyama Park a panorama of the City of Ichinoseki is accessible. Geibikei is a dramatic river gorge which offers rides in traditional flat-bottomed boats, navigated by singing "gondoliers". Alternatively, Genbikei is another popular river area with naturally carved cliffs. The Hondera Farm Village has been designated an Important Cultural Landscape.